Time to organize another birthday party? Don’t worry! We’ve got it! It’s Party time! 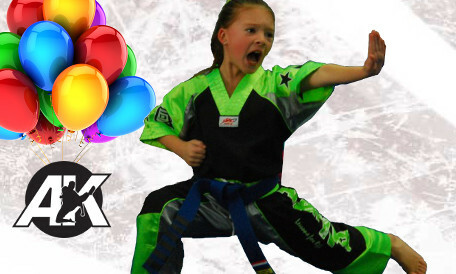 A karate birthday is a great way for your child to celebrate his or her birthday in a unique and special way. In addition to the fun and excitement, your child will experience some of the important aspects of the Martial Arts including, Confidence and Fitness. Book early to secure your date and time. The only thing you need to bring are the Birthday Child and Guests! Additional guests or longer duration is available upon request. As a special offer: any party guests are eligible to receive one month of classes plus a uniform for just $40.